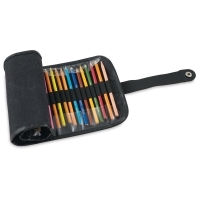 Made of durable canvas with stitched leather edging, these handy, portable roll-up cases hold up to 36 of your favorite drawing or sketching pencils. 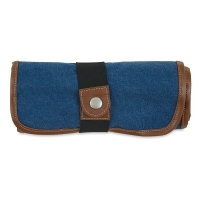 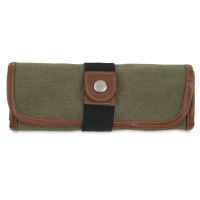 The Global Art Roll Up Pencil Case also features a zippered interior pouch for holding other small items. 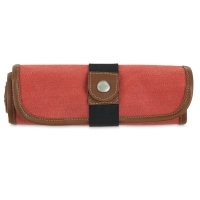 ® Global Art is a registered trademark.